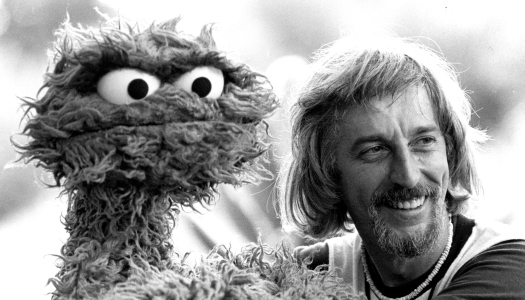 For the past 45 years Caroll Spinney has been Sesame Street’s Big Bird and Oscar the Grouch, and, at 80 years old, he has no intention of stopping. By way of a Forest Gump-like journey through American history, Spinney’s personal stories are a look behind the scenes of one of the most iconic and well-known American television shows. With the aid of archive footage and photographs, I Am Big Bird tenderly draws a portrait of the man behind the feathers—an unsung hero to millions of children across the world and across the decades. Dave graduated from Boston College with a degree in Communications and went on to get his Master's in Film at USC's School of Cinematic Arts. After enduring as much L.A. traffic as he could stand, Dave headed back east to put his skills into practice. He has experience directing all over the world on a variety of different shoots and projects. Having spent time writing for commercial clients and working in development with Hollywood studios, Dave also functions as Copper Pot's scribe. Chad's skills as a director were born out of ten years of editing everything from big budget Hollywood features to small, indie passion projects. He moves behind the camera on CPP's docs and commercial shoots, pulling double-duty as director and editor. Chad honed his skills in the world of animation, helping edit blockbusters like Rio, Horton Hears a Who, Epic, and film from the Ice Age franchise for Blue Sky Studios. Clay graduated from Central Connecticut State University with a degree in Entrepreneurship. Before Copper Pot, Clay enjoyed a successful career in the corporate world focusing on Sales, Corporate training and, eventually, management. Always eager to put his Entrepreneurship degree to the test, Clay jumped at the chance to form Copper Pot with Chad and longtime friend Dave. His real world experience, degree and eagerness to learn a new industry has helped Copper Pot function smoothly on the operational side of their productions. This activity is made possible by the voters of Minnesota through a Minnesota State Arts Board Operating Support grant, thanks to a legislative appropriation from the arts and cultural heritage fund, and a grant from the Wells Fargo Foundation.